I wrote the following document for PDHonline.org some months ago to demonstrate the possible uses of light cure adhesives. This is a fascinating technology and one gaining importance as differing materials become commercialized. Hope you enjoy it and please send me your comments as you see fit. At the present time, adhesive manufacturers offer products classified as Cyanoacrylates, Epoxies, Hot Melts, Silicones, Urethanes, Acrylics (one-part and two-part) and Light-cures. These classifications provide products from manufacturers with specific characteristics that allow for bonding, gasketing, potting and encapsulating, retaining, thread-locking and thread-sealing. Light-cure adhesive technology offers a new approach to bonding similar or dissimilar substrates by using either ultraviolet light (UV) or light within the visible spectrum. Extremely rapid cure times, superior depth of cure, (up to four inches) and easy dispensability are only three of the benefits when using these adhesives combined with the appropriate processes. The newer visible light-cure materials can offer adhesion comparable to most commercially available UV adhesives, with particularly high adhesion on polycarbonate and polyvinylchloride (PVC) materials. All equate to lower cost of assembly, more freedom when designing components and products and the saving of valuable production time. This method of adhesion is extremely valuable when bonding thin films, needing heightened safety relative to skin and eyes and when bonding heat sensitive materials. This process can lessen, or eliminate, the need for costly and harmful chemicals from the workplace and can be solvent-free and non-hazardous. The use of light-cure adhesives will result in a very clean and “friendly” worker environment with no significant material disposal costs. There is no need to mix, prime or rush to apply the adhesive due to minimal time to dispense. We will discuss other benefits and some disadvantages later on in our course. 5.) When using UV light, the light source MUST reach the bond line if complete cure is to be had. This means that transmission of light through at least one substrate is crucial. Some substrates have UV inhibitors to lessen or eliminate degradation of the component. These inhibitors will inhibit the penetration and lessen adhesion necessitating another method of bonding. (This is by far the biggest disadvantage for UV curing.) A graphic depiction is given below that illustrates the principal. 6.) The mechanical properties may not meet specified requirements for tensile strength, shear strength, peel strength, etc. 7.) In some cases when potting depth is a factor, materials may not cure through. 9.) Engineering specifications must be exact and specific denoting brand, part number and method of application relative to adhesive. 10.) Educating workers applying light-cure adhesives is a MUST. The development of light-curing adhesives has been enhanced by the latest generation of curing equipment. This equipment includes both flood and point source configurations using bulb or lamp based systems. In addition, equipment utilizing LED technology is now available for use with these adhesives. The benefit here is that LEDs generate focused wavelengths that create appreciably tighter output range relative to regular visible lamp technologies. Furthermore, because superfluous light and heat are not emitted, LED technology has proven to be both highly efficient and highly cost effective. As might be expected, as a result of their small size, LED curing systems provide an LED light source that is perfect for curing tiny component parts. As you can see, many industries use this technology and as materials improve, more and more will continue to do so. FASCINATING TECHNOLOGY. I am reprinting an article written by Rob Spiegel, Senior Editor, Automation & Control – Design News Daily. The article points out what is and will be significant issues with online work and work accomplished in this “digital age”. This is a huge problem; growing on a yearly basis. The technology to avoid hackers and digital intrusion is far behind efforts to access data bases using digital means. It must be apparent that intellectual property as well as national security is at stake. Please take a look and comment as you see fit. Hackers are trying to get into your plant data and your intellectual property. Think you’re safe? Hackers may have already attacked your data. The average length of time from a cyber-attack to the moment that attack is detected is a whopping 416 days, according to the National Board of Information Security Examiners (NBISE). Michael Assante, director of NBISE painted a dire picture of the growing threat of cyber-security at the Rockwell Automation Fair in Houston Tuesday. In a panel discussion on the connected enterprise and industrial control system security, Assante noted that “94 percent of organizations that were victims of cyber-attacks were not able to detect the attack.” He also pointed out that 100 percent of the organizations that were attacked had security. “Conventional security is simply not keeping up,” he said. General cyber-attacks are less structured. The hackers are out for notoriety and fame. They’re part of the hacker community. Targeted cyber-attacks are directed to specific goals. The attacks could be for monetary gain or to steal intellectual property. The third category is the most dangerous, strategic cyber-attacks. These are highly structured attacks with intent to commit major economic disruption or cyber-terrorism. Assante noted that strategic cyber-attacks are growing. “We have passed the inflection point,” he said. Kulaszewicz noted that Rockwell and Cisco Systems have developed a strategic relationship to increase connectivity and productivity, but also to work on security. “We’re using role-based security. We design for security and audit to identify gaps,” he said. Assante sees a path to security in knowledge and skills, both to identify vulnerabilities and also to detect breaches. “The biggest challenge to security is skills,” Assante told Design News. “The answer is education, the right set of knowledge. We leverage that knowledge to improve security.” He noted that security comes in two forms, the ability to ward off attacks, and the ability to determine if an attack has been launched. “Not only must the connected device be secure, but the network must be able to detect if the device has been compromised,” he told us. Rapid prototyping is definitely a technology that has, and is, changing the way companies and commercial entities do business. We can certainly say this “emerging technology” has gained tremendous momentum over the past decade. The applications and uses represent a “best practice” for manufacturers and producers in general. Produce an orthogonal drawing of the component. This drawing was a two-dimensional rendition, including auxiliary views, and generally did NOT use geometrical dimensioning and tolerancing methodologies, which opened the way for various interpretations relative to the part itself. Solid modeling did not exist at that time. Take that drawing or drawings to the model shop so initial prototypes could be made. Generally, one prototype would be made for immediate examination. 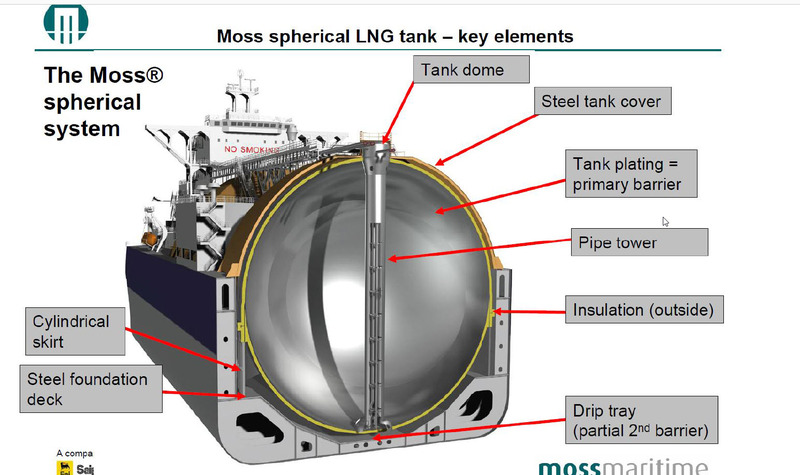 Any remaining parts would be scheduled depending upon approval of the design engineer or engineering manager. We were after “basic intent”—that came first. When the first prototype was approved, the model shop made the others required. Wait one, two, three, four, etc weeks for your parts so the initial evaluation process could occur. From these initial prototypes we would examine form, fit and function. Apply the component to the assembly or subassembly for initial trials. Alter the drawing(s) to reflect needed changes. Again, apply the component for evaluation. Repeat the process until engineering, engineering management, quality control and manufacturing management, etc signs off on the components. The entire process could take weeks or sometimes months to complete. Things have changed considerably. The advent of three dimensional modeling; i.e. solid modeling, has given the engineer a tremendous tool for evaluating designs and providing iterations before the very first “hard” prototype has been produced. As we shall see later on, solid modeling of the component, using CAE and CAD techniques, is the first prerequisite for rapid prototyping. There are several options available when deciding upon the best approach and means by which RP&M technology is used. As prototyping processes continue to evolve, product designers will need to determine what technology is best for a specific application. As you might expect, there are many disciplines and industries willing to take advantage of new, cost-saving, fast methods of producing component parts. RP&M has become the “best practice” and the acceptable approach to “one-off” parts. 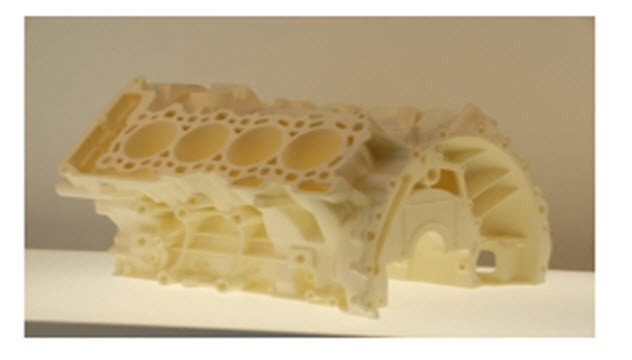 Progressive companies must look past the prototyping stereotypes and develop manufacturing strategies utilizing additive manufacturing equipment, processes and materials for high volume production. The pie-chart below will indicate several of those industries now taking advantage of the technology and the approximate percentage of use. One of the statistics surprising to me is the percentage of use by the medical profession. I’m not too surprised by the seventeen percent from automotive because the development of stereolithography was actually co-sponsored by Chrysler Automotive. Consumer electronics is another field at eighteen percent (18.4%) that has adopted the process and another industry benefiting from fast prototyping methodologies. When getting there first is the name of the game, being able to obtain components parts in two to three days is a remarkable advantage. Many times these products have a “lifetime” of about eighteen month, at best, so time is of the essence. The bar chart below will give a comparison between sales for RP&M services provided by vendors and companies providing RP&M machines to companies and independent providers. As you can see, the trends are definitely upward. Rapid prototyping has found a very real place with progressive companies and progressive institutions in this country and the world over. Stereolithography was the first approach to rapid prototyping and all of the other methods represent “offshoots” or variations of this one basic technology. The processes given above are termed “additative manufacturing” processes because material is “added to” the part, ultimately producing the final form detailed by the 3-D model and companion specifications. This course will address the existing technology for all of these processes and give comparisons between them so intelligent decisions may be made as to which process is the most viable for any one given part to be prototyped. 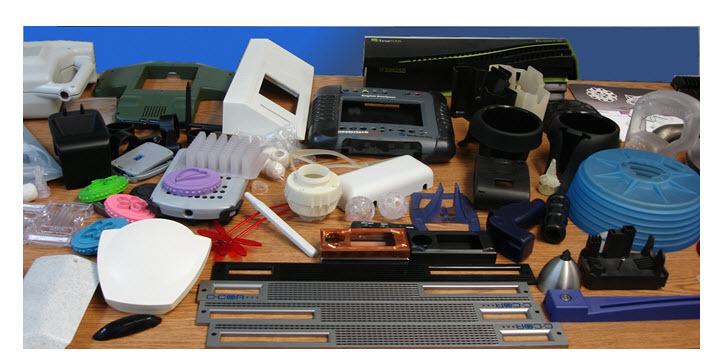 As a result of the prototyping options given above, there are many materials available to facilitate assembly and trial after completion of the model. We are going to discuss processes vs. materials vs. post-forming and secondary operations later in this course. The variety of materials available today is remarkable and to a great extent, the material selection is dependent upon the process selected. We will certainly discuss this facet of the technology. As you might expect, there is a definite methodology for creating actual parts, and the processes do not vary greatly from method to method. We are going to detail the sequential steps in the process. This detail will form the “backbone” for later discussions involving the mechanical and electronic operation of the equipment itself. These steps apply to all of the RP&M processes. To ensure that the re-coater blade will not strike the platform upon which the part is being built. 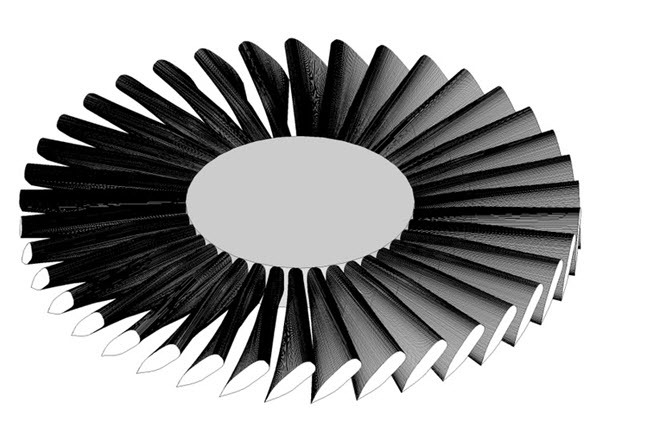 Sweep—The re-coater blade traverses the vat from front to back and sweeps the excess resin from the part. As soon as the re-coater blade has completed its motion, the system is ready for the next step. Next, certain operational parameters are selected, such as the number or re-coater blade sweeps per layer, the sweep period, and the desired “Z”-wait. All of these parameters must be selected by the programmer. “Z”-wait is the time, in seconds, the system is instructed to pause after recoating. The purpose of this intentional pause is to allow any resin surface non-uniformities to undergo fluid dynamic relaxation. The output of this step is the selection of the relevant parameters. Over seventy percent (70%) of the total uses are given by the five categories above. This in no way negates or lessens the importance of the other uses, but obviously, visual aids, functional models and models to prove form, fit and function top the list. Everyone says a “picture is worth a thousand words” so let’s take a very quick pictorial look at some of the many applications noted by the text and the figures above. The following JPEGs should give you an idea as to what uses of RP&M technologies exist. These digital photographs are from actual models created for very specific purposes. Let’s take a look at parts actually produced by “additative” manufacturing. The following discussion on failure mode effect analysis was published through PDHonline.org and written by this author. In the “world of reliability engineering” this process is extremely valuable in determining those components and sub-assemblies that may fail and may fail early in their life. This one is a little “off the wall” but hope you enjoy it anyway. The “header” for the template would show the Product Name, the Date, the System or Subsystem Name, the Name of the Design Leader and the Revision Number. Assemble a team of individuals who have product knowledge. These people should come from the following disciplines: a.) design engineering, b.) manufacturing, c.) service, d.) quality, e.) repair. Make sure the Failure Block Diagrams (FBDs) and “P”-Diagrams are available to adequately represent the system, subsystem or component. Construct the FMEA template or work sheet. Multiply the assigned numbers for severity, occurrence and detection together for a final score and record that score for later use. A score of 1,000 would indicate a failure that should definitely be addressed and one that would be coded as a “red” item. Red items must be fixed before pre-pilot builds occur and certainly before pilot runs occur. Some companies designate any score above 600 as a “red” item. For each failure mode, identify what you feel to be the “root cause” of the failure. This will take experience and you may wish to consult the services of field technicians for their comments relative to product use and problem areas. Describe the effects of those failure modes; i.e. 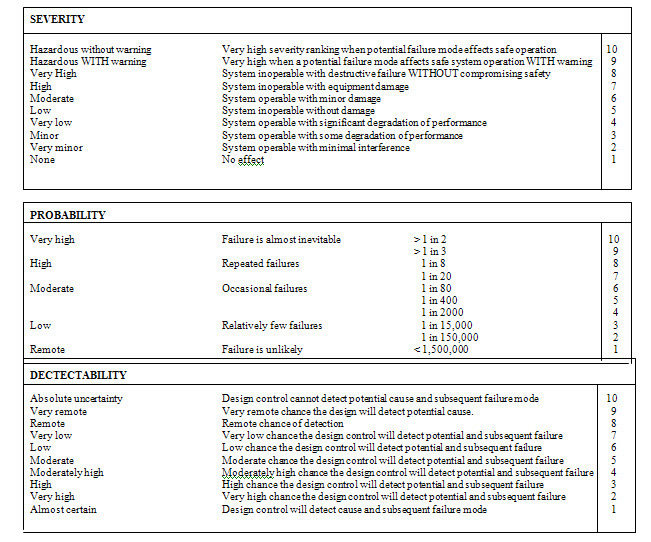 injury to user, interoperability of product, improper appearance of product, degraded performance, noise, etc. Determine what must be the initial recommended action. This is done for each failure mode. Assign responsibility for addressing the “fix”. .Before adjourning, establish a time to reconvene for a status on the failures and the “fixes”.Before adjourning, establish a time to reconvene for a status on the failures and the “fixes”. This is a marvelous tool for reliability practitioners and engineers of all “stripes”. One used by manufacturers and designers in every branch of engineering and technology. Hope you enjoy this one.